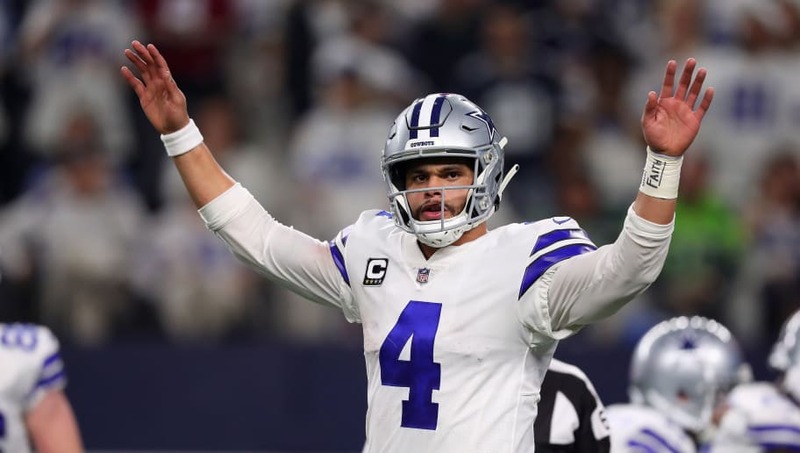 When it comes down to the divisional round of the NFL playoffs, bettors everywhere are looking for trends to exploit, numbers to back them up and history to support it. Many have wondered about how well teams that play their home games in a domed stadium fair on the road outside the dome, especially in freezing temperatures in the playoffs. As many have suspected, those dome teams struggle. A lot. Teams that play their home games in a dome are 12-44 (21.4%) SU overall and 4-18 (18.2%) SU in games played in 32 degree or colder temperatures during the NFL Playoffs. Both the Indianapolis Colts and the Dallas Cowboys fit the mold this weekend in the divisional round of the playoffs. Both play in dome stadiums and both are going on the road. Although, the Colts are the only ones with a chance of playing in freezing temperatures given they'll be playing on the road in brisk Kansas City. Away teams are just 5-15 in the last 20 Divisional #NFLPlayoff matchups and 13-27 in the last 40 #NFL Divisional Playoff matchups. Both the Colts and Cowboys are getting the lion's share of bet tickets this weekend from the public, something that might indicate they aren't aware of this overwhelming statistic. We're not saying don't take the Colts or the Cowboys, who both could very well cover without winning, but when a stat this daunting comes along, it's definitely worth taking a second look before laying down your hard earned cash.